First of all let me say one thing- I liked Saving June but, this novel. 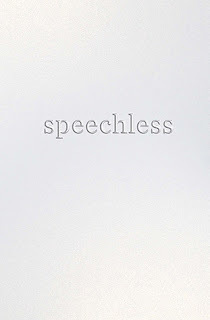 Speechless was so much better. I don’t usually read abuse books. It doesn’t matter if it’s about physical or verbal abuse. I am not comfortable with this subject because almost in all cases the victim can’t do a damn thing about it and just takes it all. Kids used to tease me about the way I dress and look, they still do, even today while I was walking past some idiots they made a comment about my hair. I take this stuff pretty well. I usually do some more weird stuff just to make them stare more because that is who I am. And I am not changing for anyone! High-school is even more fragile period for kids than middle school was because that is when you are starting to discover yourself. Well, I can’t say that happened to everyone, but it did to me. I stopped hanging around my old friends because they didn’t understand why I was acting differently all of the sudden. But kids soon forget you and you find other friends who appreciate you for with all of your flaws and virtues. I am not perfect. I’ve done some awful things to people but like Chelsea said- you need to cut yourself some slack and before asking for forgiveness you should forgive yourself first. You need to stop hating your freckles, crooked teeth, small breasts or whatever troubles you and just embrace it because that is all you, and you are unique! Wow, after reading this review I see it’s in fact NOT a review but just me rambling. So sorry for that. This book is definitely worth the time and I would recommend it to everyone. 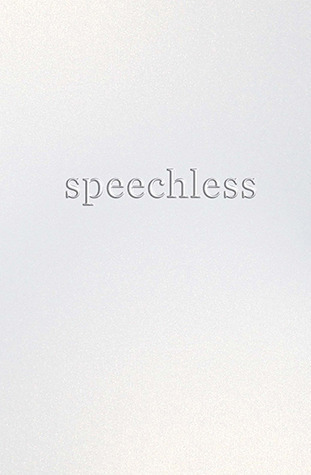 On a random note, I read a book called Speak the day after I read Speechless. You should read that! Great review btw! I did read it couple of years ago. It was such a heavy novel. If I hadn't bought Saving June I don`t think I would ever get Speechless because of the bullying. This topic makes me feel uncomfortable and helpless so I tend to stay away from it.